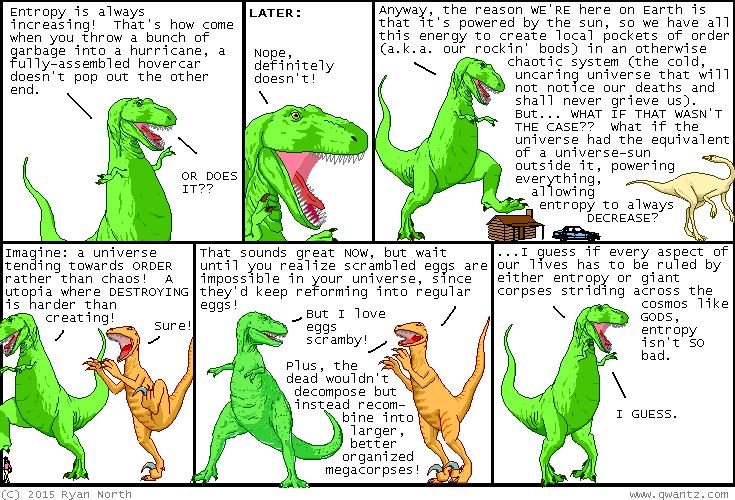 Dinosaur Comics - September 7th, 2015 - awesome fun times! –Like me and my dinosaur friends! September 7th, 2015: This is indeed a disturbing universe.